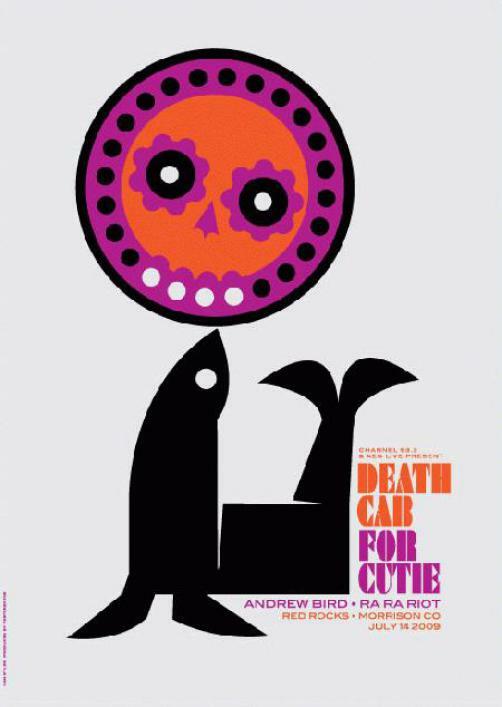 Original silkscreen concert poster for Death Cab For Cutie at Red Rocks in Morrison, Colorado in 2009. 18"x24" 3 color silkscreen on card stock. Art by Dan Stiles.